Well, now that we have spent an entire week wine & champagne tasting, it's time to switch gears a bit and head back to celebrating the small ones for minute. 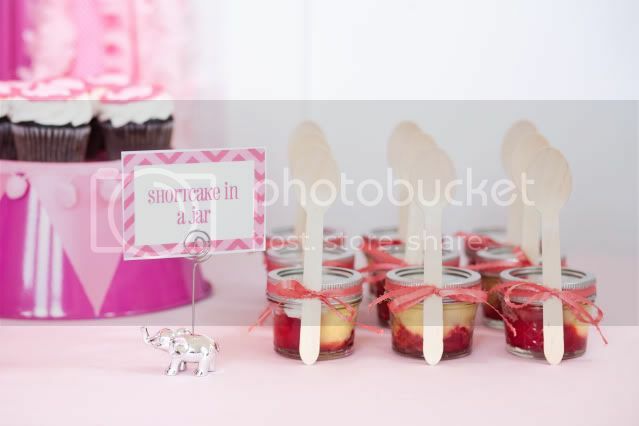 And this gorgeous 'Pink Elephant Baby Shower' is such a delightful way to celebrate. 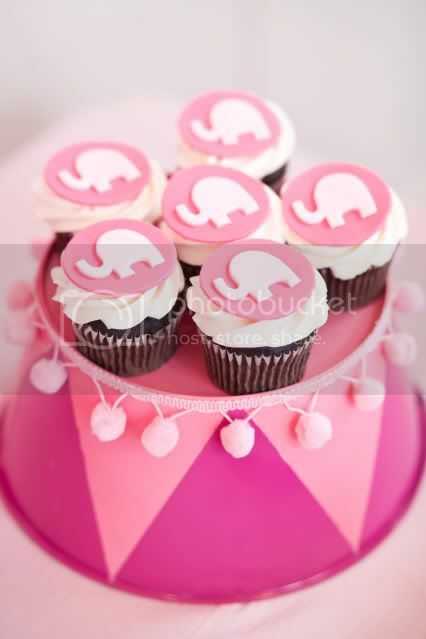 Designed for her sister, who just so happens to adore elephants, by the amazing & talented Kara of Kara's Party Ideas, this Mama Elephant & her baby theme is just ideal for a little-girl-on-the-way shower, don't you think? 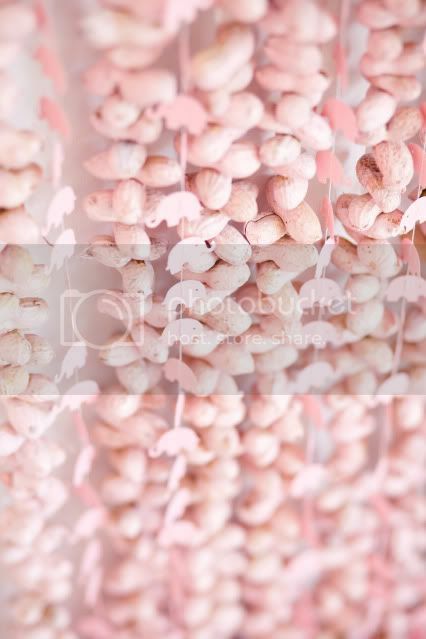 Yes, those peanuts have been hand painted pink . 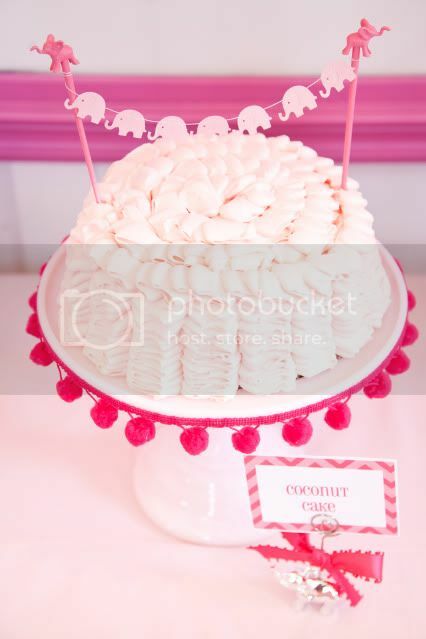 . .
A sweet string of elephant cake bunting (and I am in LOVE with that pom pom fringe around the cake stand too) . 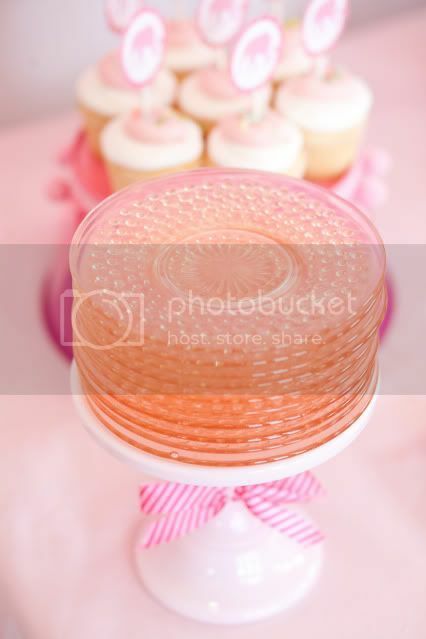 . .
Fondant cupcake toppers made by Two Sugar Babies . 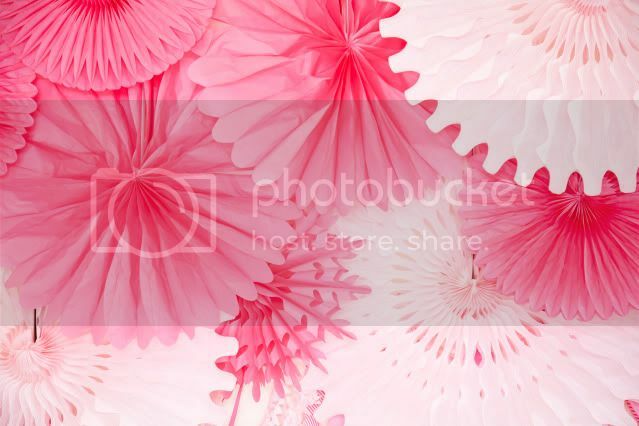 . .
Ah, paper pinwheels, our favorite . 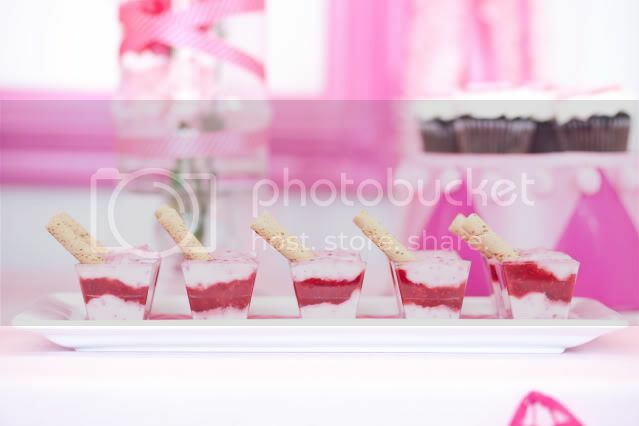 . .
Mini Cheesecake Bites . . . 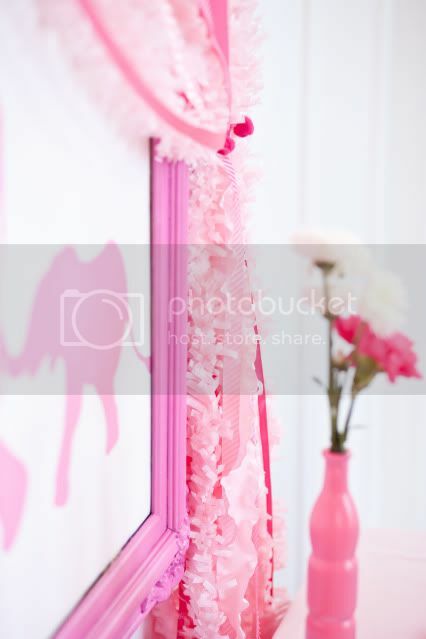 I love how Kara incorporated the high chair into the shower decor . 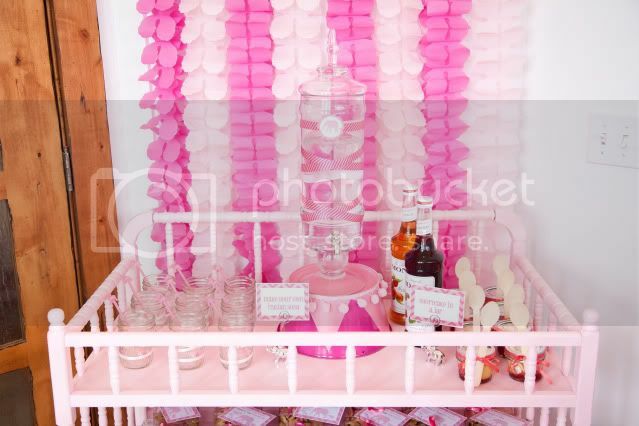 . .
And who knew a changing table would make the perfect bar? 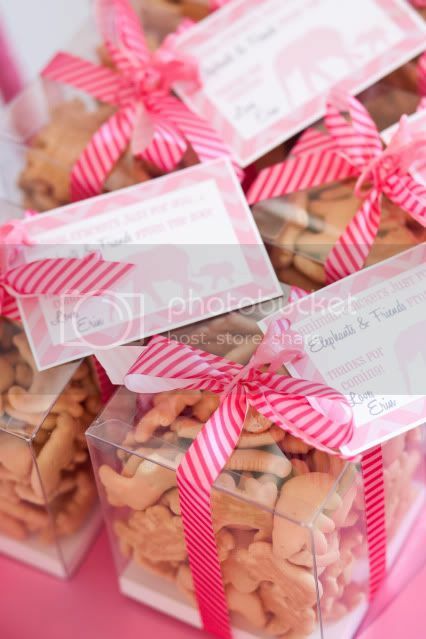 And animal cracker favors . . . 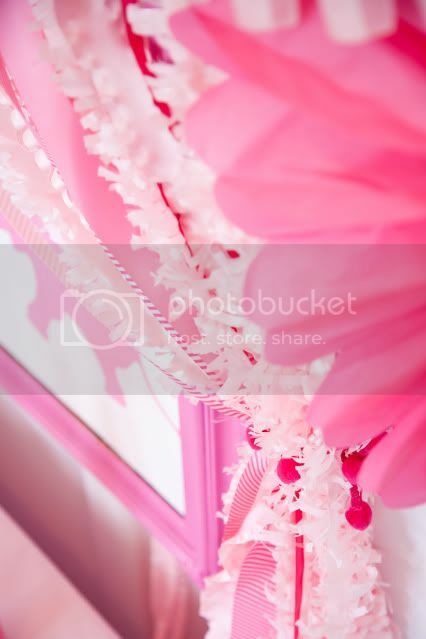 So pink & pretty & fun . 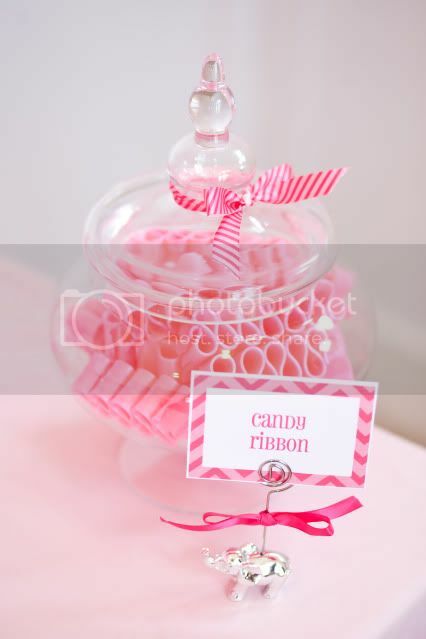 . . and wouldn't this make an adorable theme for a little girl's birthday party as well? 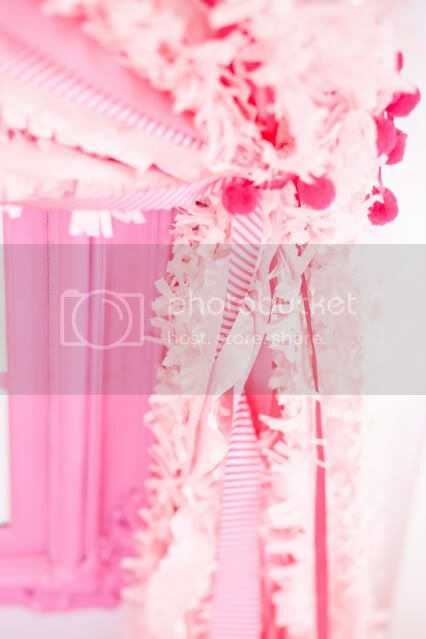 Or switch out that pink for blue or turquoise and you have a darling baby shower for a boy too! Photos courtesy of Photography by Lyndsey Fagerlund. 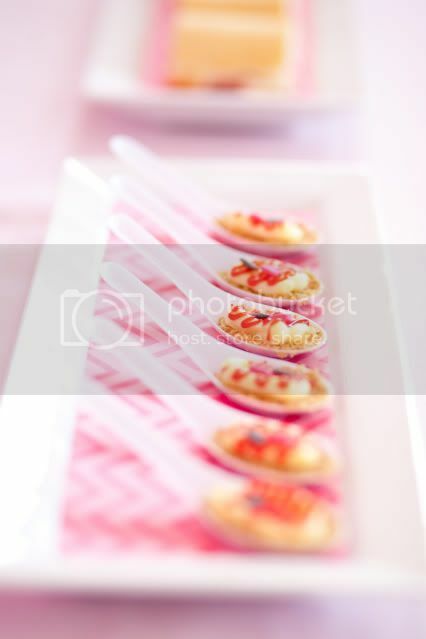 A friend just pointed me to your blog and I must say how much I love your ideas and pictures. 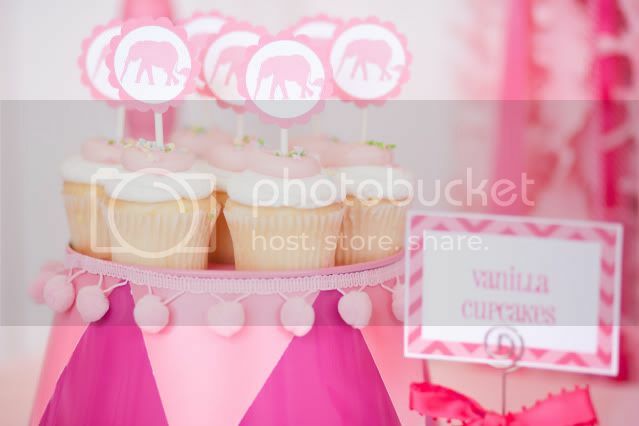 This elephant baby shower is absolutely beautiful and completely fun! Hi Donna! 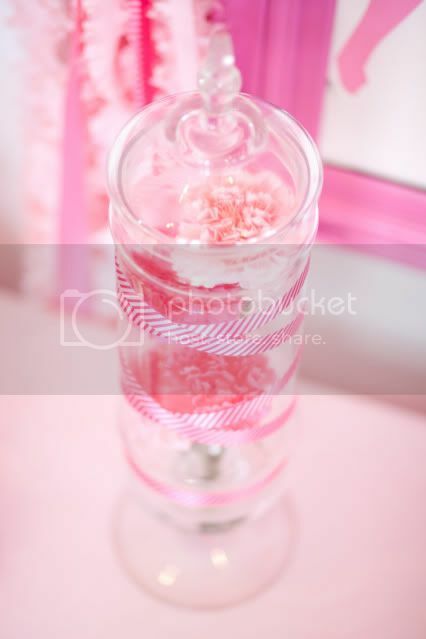 I am so happy you found Juneberry Lane and truly appreciate your kind words! 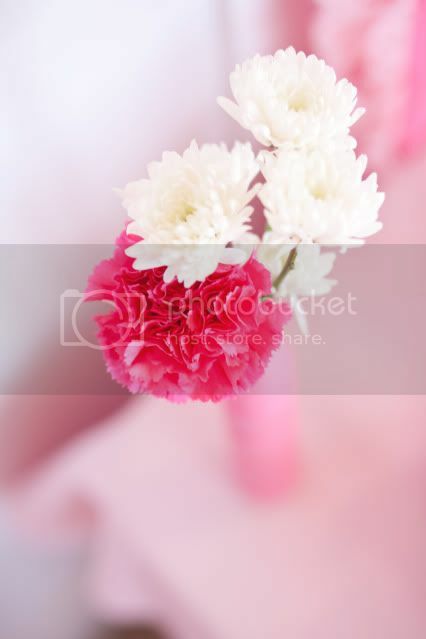 I am doing a post tomorrow in honor of you:) Please come back and visit often . . . I am so grateful for your feedback! 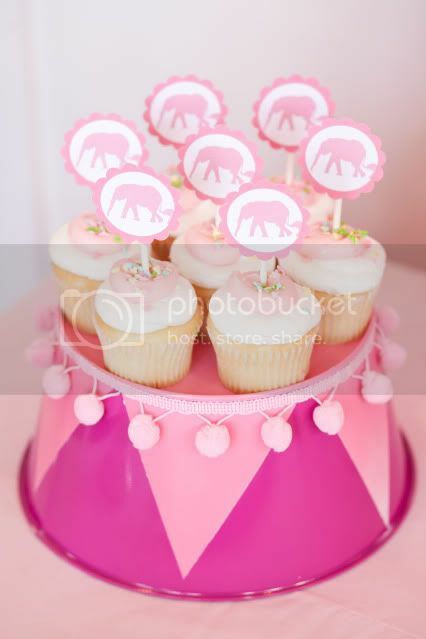 My oldest daughter is having our first grandbaby and loves elephants so I thought we would do an elephant theme baby shower. 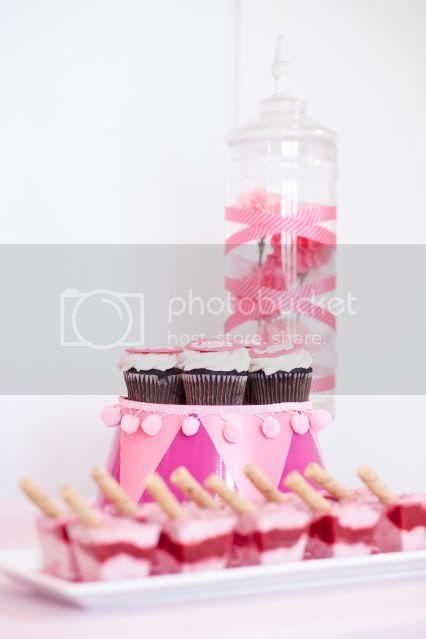 In searching the internet I came accross your website and I love the ideas. 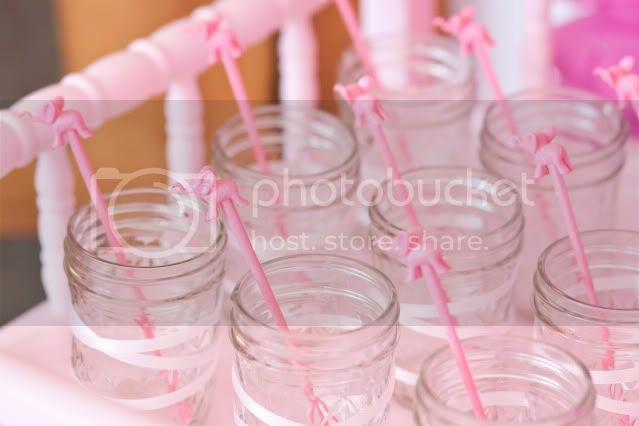 I thought with shortcake idea was great I am going to have the teachers at my school save baby food jars and do you idea with them I thought that would add a little extra touch. 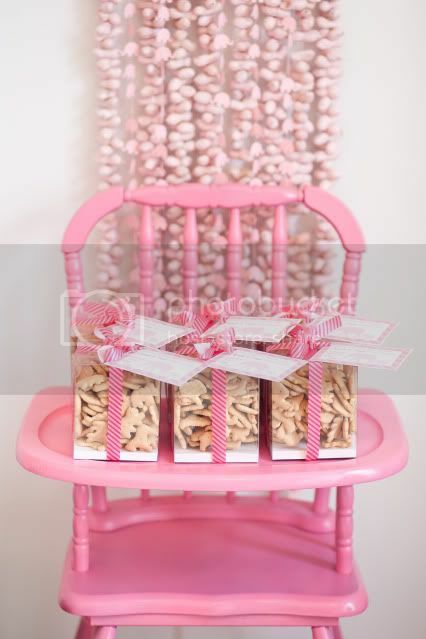 Can you tell me what you printed on the card attached to the animal crackers. Hi! 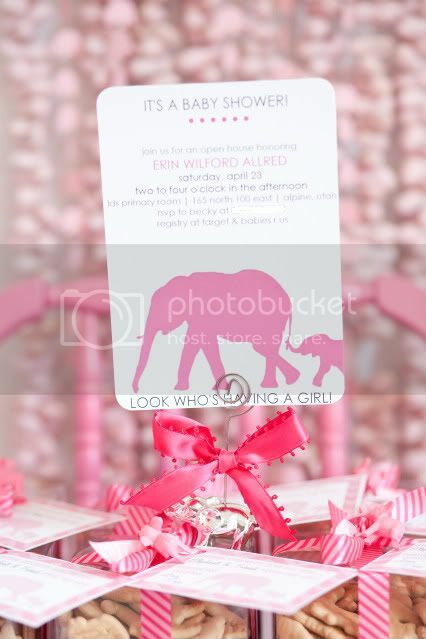 I love the animal crackers favor! 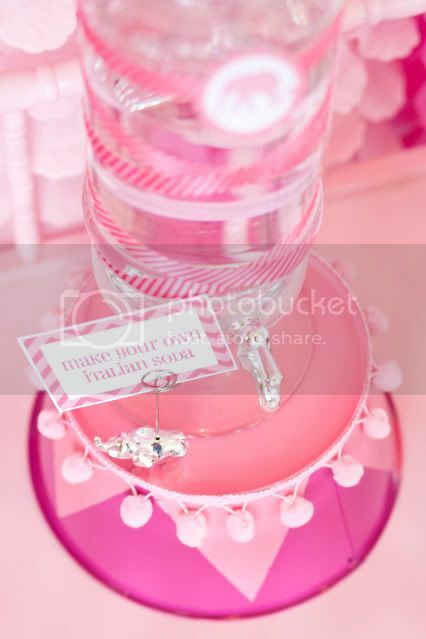 Where did you get those made or where did you get the clear boxes to make them? 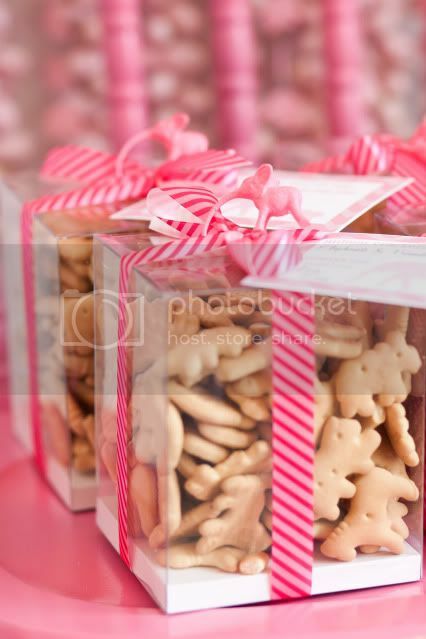 Where did the clear boxes with the animal crackers come from? So cute! 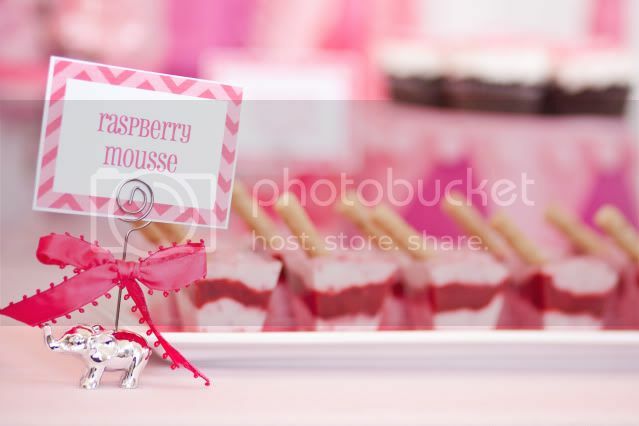 I love the favors! Where did you find the boxes? I luv, luv the large framed mommy and her baby print. Can you share where you found this? 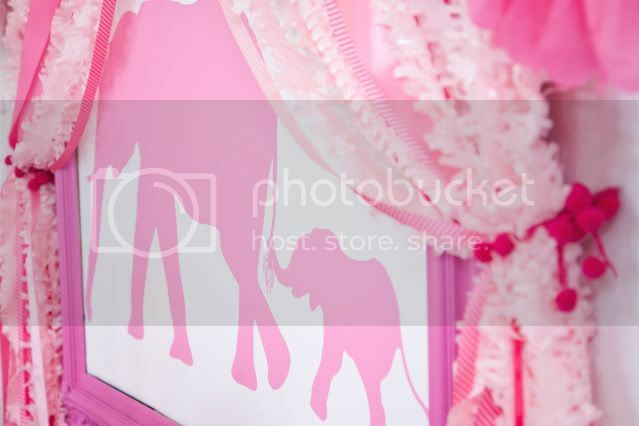 Would you tell me where you got the clip art for the mama & baby elephant back drop. 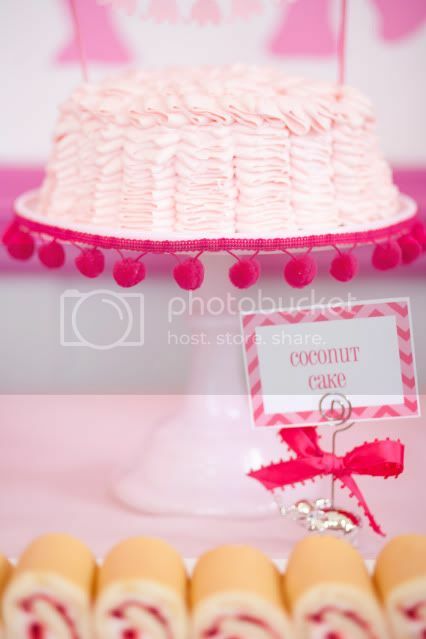 I am having a baby shower next week! thanks! Disney 'Tangled' Wedding . . . WOW!!!!! 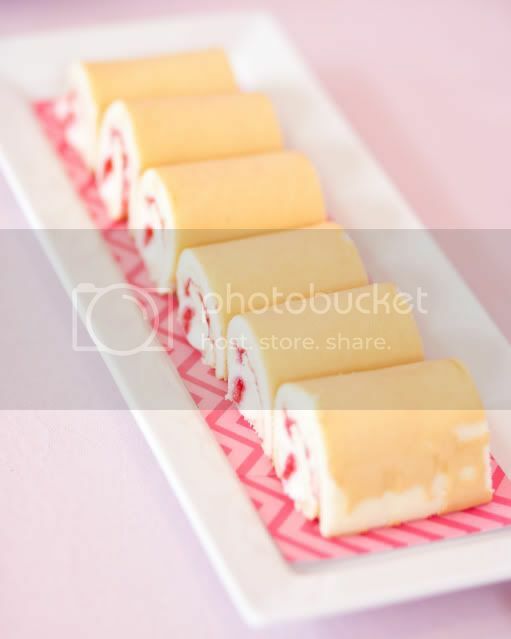 Tutorial Tuesday: Terrific Treat Cones! 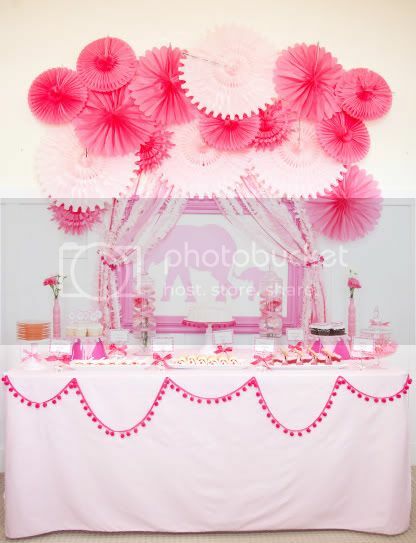 Tutorial Tuesday: DIY Party Blowers, Wahoo! 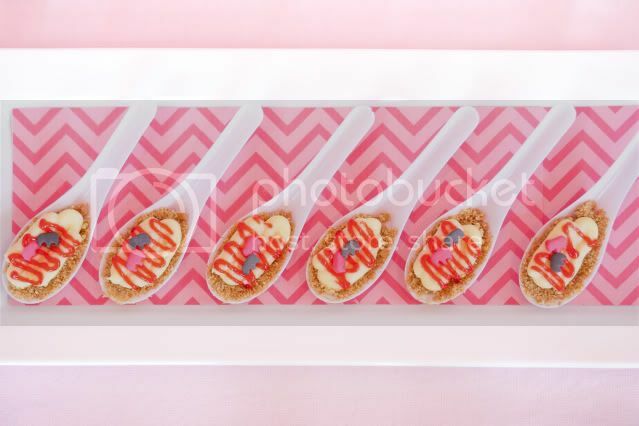 Pleasingly Personal: Custom Melamine . 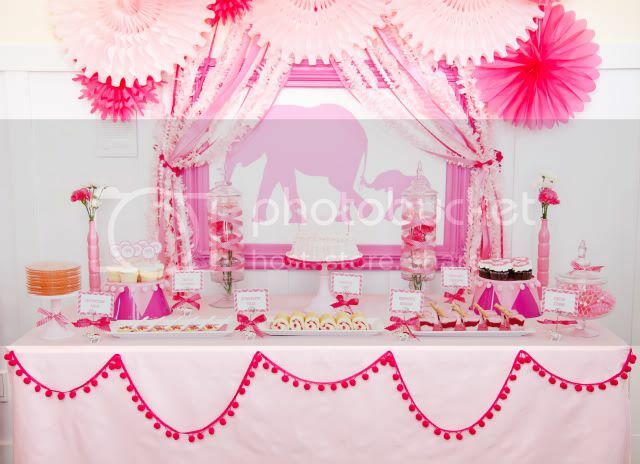 . .
High Chair Banners . . .